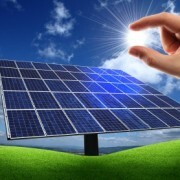 Solar PV experts of India. We can help you make the right decision about solar power for your home with expert advice from our experts. ADLER Solar is a pioneering force in the solar energy industry. . Our solar home and solar power solutions are both cost effective and energy efficient, allowing you to reduce both your household’s energy use and your carbon footprint at the same time. 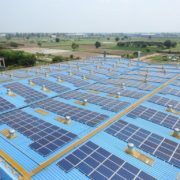 ADLER solar power solutions are installed in iNDIA, ensuring each customer receives the best advice and service. We offer free in-home solar assessments for households throughout delhi ncr so that you do get the best advice. We have highly trained staff. 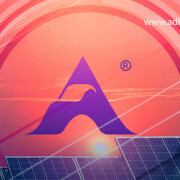 ADLER Solar is a leading solar company dealing in solar products and providing complete solar energy solutions. You’ve come to the right place – give us a call! The first thing your solar company will do is send an engineer to your home to evaluate whether your residence is suitable for solar power. You will need to have a suitable roof in order to qualify. 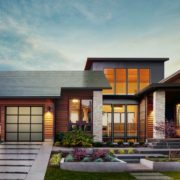 If you pass the roof test, then the solar panel installation company will sit down with you and assess how powerful you want your system to be, and how much you have available in finances. Call us for more information. We know everything about solar. 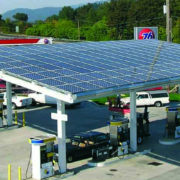 Searching for company who can install solar power plant at your petrol pump ? ADLER GROUP is one of the world’s leading solar energy companies, specialising in solar installation & PV systems for businesses, solar farms & homes. The first thing to do before going solar is to see if there are ways to optimize/reduce your energy consumption. Check for all conventional equipment in your home and see what you could make more efficient or reduce. CFLs are 4 times more efficient and last 10 times as long as an incandescent bulb, so replacing regular lamps with CFLs and LEDs can bring huge energy savings. Check if you are using energy-star rated equipment. These might cost more in the beginning but will pay for themselves in a few years compared to equipment that has no energy rating. Reducing your energy consumption makes it easier to go off the grid and convert your energy source to solar power. With our solutions – right from installation to maintenance – we ensure your journey towards solar energy sustainability is a seamless one. We try to minimise any hassles along the way. All you need to do is provide your location and we will do rest of the things. Our customers are India’s leading corporates . Our experts ensures you will enjoy clean, reliable and hassle-free solar power for long time. 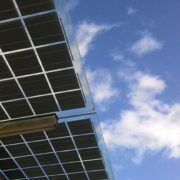 Looking for a solar panel supplier ? You have come to the right place. Inverters play a crucial role in any solar energy system and are often considered to be the brains of a project, whether it’s a 2-kW residential system or a 5-MW utility power plant. An inverter’s basic function is to “invert” the direct current (DC) output into alternating current (AC). AC is the standard used by all commercial appliances, which is why many view inverters as the “gateway” between the photovoltaic (PV) system and the energy off-taker. Renewable energy is the way of the future. As the supply of fossil fuels reduces and faces increased pollution, climate change, and health issues, the cost continues to rise. People have begun to use alternative, renewable energy sources including wind, water, and solar power. solar power is ready and available to home owners today. Solar power makes it possible for home owners to use the sun to power everyday life: running your electronic appliances.. All while reducing your carbon footprint, and without burning fossil fuels or putting a strain on the electrical grid. And while the environmental benefits of solar power are significant, many home owners find that the convenience, unique features, and cost savings of owning a solar power system are even more exciting..
Calll us today and go solar. The world is changing at a fast pace, and so are the ways to move ahead in life. New technologies are making the lives of people a lot easier than a few decades ago. However, the one thing that is still technology’s reach is – bridging the gap between energy demand and energy availability. The demand for electricity is growing at a swift pace, but the availability is not. If you take a look around, you can find that the traditional sources of power are very limited in numbers and will get over sooner or later. The only way to handle this situation and all the problems revolving around it is to shift your focus to renewable energy resources. There are two types of energy resources in the world -traditional and renewable. 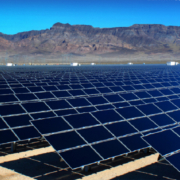 Traditional resources are limited while the renewable resources are unlimited, such as solar energy. 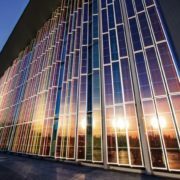 The science has invented tools and technologies that can produce electricity from solar energy and ensure that humankind doesn’t have to suffer from lack of electricity ever in the future. If you want to create a bright future for yourself and your coming generations, then make sure you make a call right away. 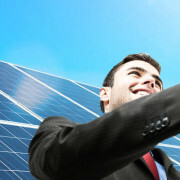 Solar energy is the best solution for all the electricity related problems. In order to switch to solar, all you have to do is install solar panels at your home or factory and be free from all sorts of worries. Although it’s not something you cannot do in a hassle-free manner, you need the guidance of someone with ample experience in this field. That’s where the Adler Group comes into the picture. It has been operating in the same field for years and help you install solar panels at your residential or commercial premises without any trouble. All you need to do is call our helpline number, and we will take care of the rest. So, don’t waste your money in paying huge electricity bills anymore. Switch to solar and start living a happy life! Could potentially help you save money, if electricity prices continue to rise. Like other energy saving products, the savings you’re likely to make all depend on your individual circumstances. Things like where you live, how much electricity you use and the amount you spend on Solar Panels could affect what you make or save each year. We are India’s leading provider of sustainable solutions. 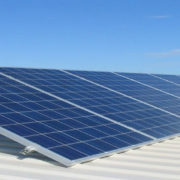 We are the National Renewable Energy Installer and specialise in commercial Solar PV installations. we provide a complete design, installation and O&M service for a wide range of sustainable solutions. we have been providing trusted advice and installations for many years, offering unparalleled experience within the industry. The company has seen the industry develop and is proud to have played a key role in driving forward the uptake of sustainable solutions throughout the India. We have earned a reputation for trusted advice and reliable installations.